Bitcoin is the most successful cryptocurrency, with tremendous price rise recorded this year, skyrocketing its price from $963 and a total market cap of $15,482,057,104 in January 1, 2017 to $8,205 and a total market cap of $137,002,375,350 as of the date of writing this post (Nov. 23, 2017). This wasn’t mere coincidence, it was well planned. 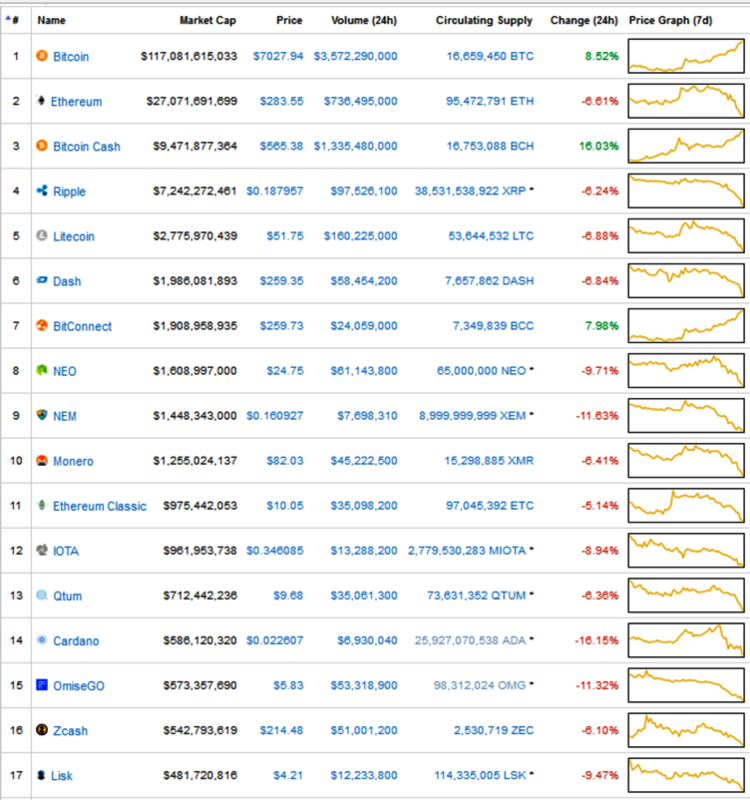 Seeing the way other cryptocurrencies were gaining attention as most of them have much better technology than bitcoin and also solved various problems bitcoin blockchain was facing, it was just a matter of time before another cryptocurrency came up to displace bitcoin as number one, and this would not be allowed to happen, it had to be prevented. Man has a general weakness, Greed. So, what better way to achieve this than to tap into the greedy nature of man? The solution was repetitive Bitcoin Forks. So, what makes bitcoin forks the perfect solution to prevent bitcoin from being displaced? Simple, free money. After a Bitcoin Hard fork, owners of bitcoin before the fork get an equal amount of the new cryptocurrency. This means that for instance, if you had 1 bitcoin before bitcoin cash fork, you’d receive 1 bitcoin cash after the fork; same thing happened in the case of bitcoin gold and was supposed to happen for B2X. So, mission accomplished. 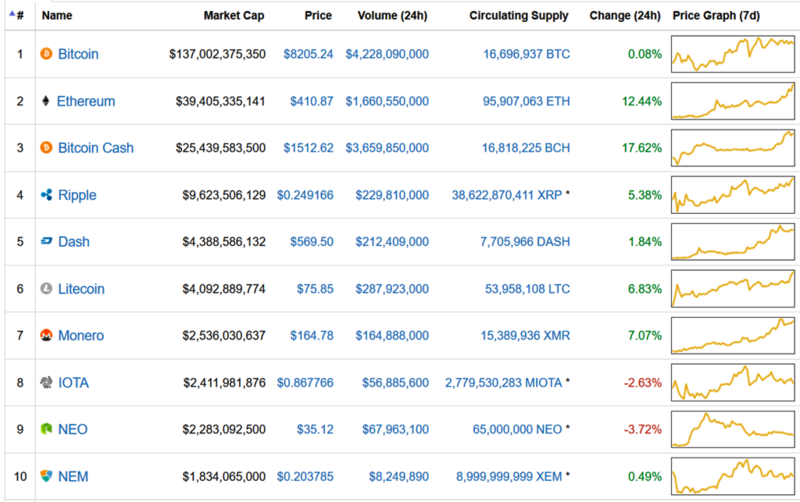 Bitcoin remains the king, now far way above all the rest both in price and total market cap. Do hard forks really give free money? I’m sure most people don’t know this, but the answer is NO. After a fork, the blockchain splits and a certain percentage of the value of the cryptocurrency on the main chain is assigned to the one on the forked chain. In the case of Bitcoin Cash for example, 10% of the value of bitcoin was assigned to bitcoin cash while bitcoin kept 90%. 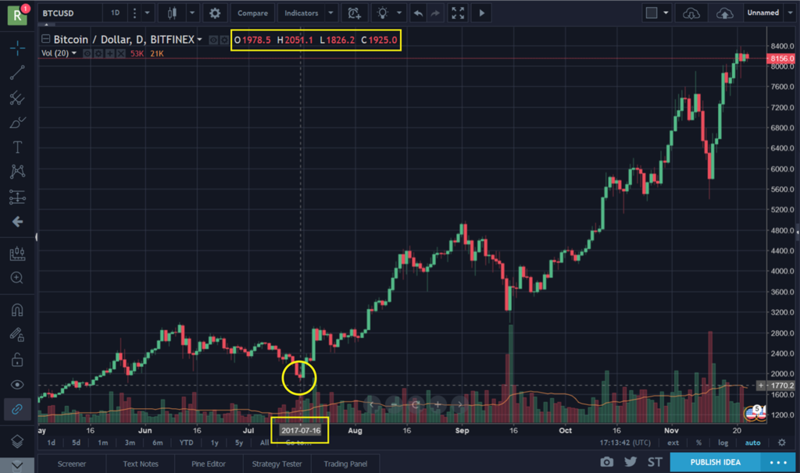 The bitcoin chart above highlights the price action of bitcoin on August 1, 2017, the date of the bitcoin cash fork. At 11.36am on August 1, Bitcoin cash was worth $276.5 on the futures market – just one tenth of the bitcoin price which was $2,772. That day bitcoin recorded a high of $2,906 and a low of $2,604, so the $276.5 value assigned to bitcoin cash could have been minus from bitcoin without anybody noticing the effect on bitcoin. However, everyone who had bitcoin before the fork felt excited to receive a new cryptocurrency (bitcoin cash) worth $276.5 for every bitcoin they owned. Its actually the run-up to the hard forks that really accounts for the profits made from the forks, as so much money is pushed into bitcoin thereby enriching all those who had bitcoin much earlier before the fork. Does bitcoin really have a divided community? 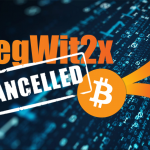 Why did Mike Belshe, one of the leaders of the Segwit2x project have to wait until just few days to the SegWit2x fork to announce its cancellation? Do you think the decision to cancel the fork was just made that day and not much earlier? Do you even think there was really going to be any fork? Long before the SegWit2x fork was cancelled I knew it just couldn’t hold, do you know why? It would have raised serious doubts in the minds of people about the reliability and stability of bitcoin. Bitcoin had just done two forks (Bitcoin cash and bitcoin gold) within 3 months, a third one so soon would have been catastrophic for the growth of bitcoin and all those organizing the fork knew this, so they definitely would not have gone through with the fork. However, they just kept leading people on with the fork because they also knew that the price of bitcoin would keep going up as people anticipated the new free coins (B2X), which by the way is not really free, it would be assigned some value from Bitcoin (a value that would be minus from bitcoin’s current value). If the forks resulted from disagreement in the bitcoin community about supporting the upgraded version of bitcoin, why wasn’t there a disagreement about the value of the forked cryptocurrency? Let’s still look at the previous example I gave with bitcoin cash. At 11.36am on August 1, Bitcoin cash was worth $276.5 on the futures market – just one tenth of the bitcoin price which was $2,772. 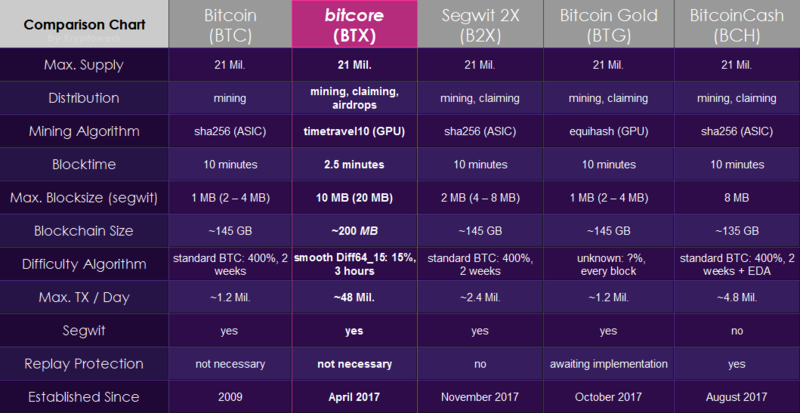 Doesn’t it bug you even a little that the bitcoin community could disagree on an upgrade (thereby resulting to a fork) but they could not also disagree with the one tenth allocated to bitcoin cash and insist on splitting the value of bitcoin equally across the two chains. The reason is quite simple, there is no divided bitcoin community, it was all well planned out strategy just to push up the price of bitcoin. It’s really all about bitcoin. So, what really is the role of Bitcoin Cash and Bitcoin Gold in this game? 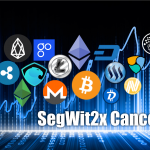 Shortly after SegWit2x fork was cancelled, several bitcoin key players publicly declared their decamping and redirecting all their resources from Bitcoin to Bitcoin cash (read here). This drove the price of bitcoin cash up from about $300 to $2,800 while bitcoin fell from a high of $7,200 to about $6,100. 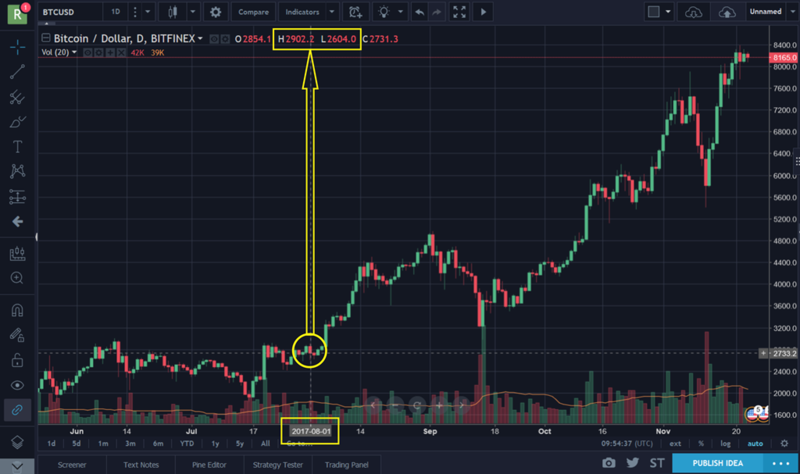 What happened next, these same people sold their bitcoin cash for bitcoin as bitcoin cash fell to $1,200 and bitcoin shot up to above $8,000, and currently at $8,200. Like I said before, IT’S ALL JUST ABOUT BITCOIN. Both bitcoin cash and Bitcoin gold serve as backup to ensure that bitcoin remains on top. So, having this in mind you’d realize that bitcoin is actually much higher in value than you think. Just based on the activities of this year, bitcoin is actually worth $10,003.22 (total value of bitcoin, bitcoin cash and bitcoin gold combined) as this is the total value that has gone into bitcoin. Why can’t other cryptocurrencies fork as bitcoin? The secret to the success of bitcoin forks is that people feel they get free valuable coins after the fork. This is due to the fact that bitcoin price was already high enough for people not to notice that some of the value of bitcoin had been transferred to the new cryptocurrency. Let’s say Charlie Lee (inventor of Litecoin) decided to carry out a Litecoin hard fork to achieve the same growth as bitcoin, with Litecoin currently worth $75 it would be very obvious that it wasn’t free coins because even a 10% drop in Litecoin price would be very noticeable. Also, the new coin won’t be quite as valuable as those that have resulted from bitcoin forks. So, this is why it seems like it’s only bitcoin that is doing the hard forks for now. However, seeing the success of bitcoin forks, we might soon see developers of other cryptocurrencies trying out the strategy. Even bitcoin developers might soon have an excuse to embark on another fork. Bitcoin is the mother of all cryptocurrencies, the most popular and most widely used. It’s in the interest of the entire cryptocurrency community that bitcoin remains on top and remains relevant. If bitcoin fails, so would everything cryptocurrency as people would lose every confidence in cryptocurrencies as a whole. If that’s the case, then why did I go through all the stress to uncover this truth? I have a friend who felt it was best to stay away from the forks cos in his opinion, they could be quite unpredictable. So, when he heard about the bitcoin cash fork, he decided it was wise to sell off his bitcoin at about $1,800, hoping to buy them back after the whole fork ruckus has settled. However, to his greatest dismay, he was never able to buy back into the bitcoin market as the price of bitcoin moved way beyond reach. He kept hoping that the price would come back down but it has only kept going up, and right now he’s so full of regrets. 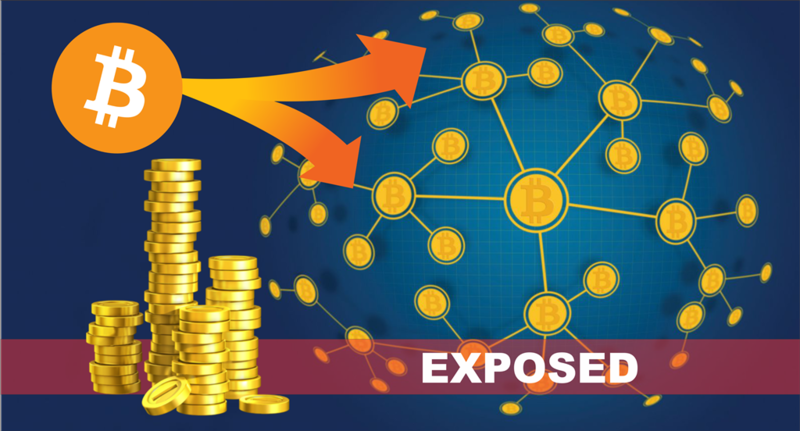 So, the answer is quite simple; I went through all the stress to uncover this truth in order to educate you and eliminate ignorance, so that you never miss out on a good investment opportunity, and next time an opportunity like this (a cryptocurrency fork) comes along you can make wiser investment decisions. 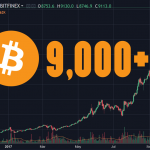 Bitcoin Above $9,000…Do We Celebrate? Super Bitcoin? Another Bitcoin Fork!? Very informative. I have always wondered about the truth behind the forks and why other coins can’t do same.